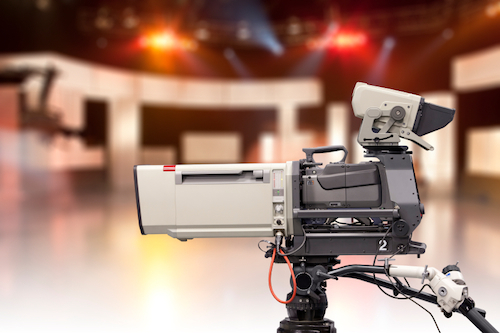 What’s your agenda when you attend a voice-over conference? I think most people would answer – ‘whatever is on the agenda’ is on their agenda when attending a voice-over conference. One assumes people look at what’s planned for a conference and decide based on that whether the event is worth attending. Look, if you want to be led around by the nose by whatever is put in front of you in the banquet of conference classes, that’s OK. It just seems to me that to get your true money’s worth out of a conference, you need to set personal objectives – to be achieved as a result of your attendance – that will help move your career further, no matter what stage you find yourself in your career. Outside of FaffCon and FaffCamp, which remain my favorite professional voice-over events, I haven’t been to that many voice-over conferences. I’ve presented at some but I don’t attend that many. Time is one reason but the bigger reason is I don’t feel the content at most VO conferences will add significantly to my current knowledge bank. That doesn’t mean I’m better or smarter or that the content isn’t good. It means I don’t feel like I’m the right audience for most VO conferences. When you’ve worked in a business (any business) for 34 years, that’s going to happen. Someone with none of my experience, half of my experience or even more than my experience would likely see many VO conference agendas differently than I do. It’s a personal career decision. But it is also true that after that much time, I’ve come to realize that I know how much I don’t know. And you CAN teach an old dog new tricks. The tricks had just better be spectacular. 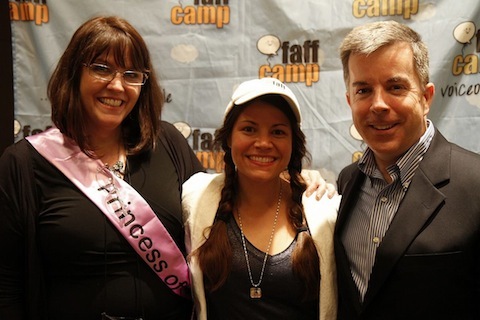 The tricks at FaffCon and FaffCamp, because of the level of professional, experienced talent in attendance, have always been pretty spectacular and helped in my professional growth and development. I am a newbie to VO Atlanta, which is now in its 3rd year. There are a significant number of folks new to the voice-over industry that will be in attendance and certainly some of VO Atlanta’s content is geared toward that audience. That’s cool. Unique this year at VO Atlanta is the attendance of a great number of casting directors and voice over agents. This has piqued my interest. It pleases me to already be working with many (but not all) of the agents at VO Atlanta including Erik Sheppard from Voice Talent Productions, Jeffrey Umberger from Umberger Agency and of course my agent and long time Toronto pal Tanya Buchanan from Ta-Da Voiceworks. I would like to at least meet a few of the agents and casting directors that I don’t yet know. Further, there are a couple of sessions on Saturday (the day I’ll be there) that I would like to listen in on. Although I am not interested in the concept of X-sessions, which requires an additional fee for each session on top of the initial conference fee. Not judging, that’s just me. Also, I’ll be in attendance at VO Atlanta with some of my fellow MVO: The Voice-Over Guys including Dan Friedman, Brad Venable, Jordan Reynolds and Dustin Ebaugh. That’s always fun! Will there be Voxy Ladies there? Nah, ya can’t never find them anywhere. 😉 (ducking). Finally, there are at least 25 of my longtime VO friends who will be in attendance, whose company I enjoy and who are always generous with their insights and advice. Too, there are new friends to make at this new-to-me conference. So not a lot of my objectives for VO Atlanta have anything to do with the agenda. But I do have specific objectives for my attendance. My suggestion, if you are going to this or any other VO conference, is to think about what your goals and objectives are for attending…then think bigger – whatever that means to you. I realized this evening that I forgot an important professional and personal anniversary in February of this year. For ten years I have been a member and participant in the Voice-Over Bulletin Board, The VO-BB. There have been so many bulletin boards for the voice-over industry over these past ten years and many have burned off into the ether. But not Deirdre (D.B.) Cooper’s VO-BB. It is unclear to me which is more important about this special internet place, wherein mostly words with links about the voice-over profession and the people who practice it are posted. Is its purpose more as a place of learning or as a community? A case could be made for both. So many educational nuggets on so many facets of the voice-over industry and it’s practitioners are contained within its virtual walls that if a PhD could be given for the study of voice-over, the VO-BB would be the industry’s Library of Congress. But upon reflection (and yes, I am a person who reflects on such things) I think the VO-BB as a place of community is the site’s true hallmark. Beyond the business benefits of being virtually connected with these people (referrals and the like — as it is with most businesses, people prefer to do business with friends), there is a sense of camaraderie, of team and of belonging – of people who get me and what I do. After all, it’s their business too. Some years ago, when there were more boards like this, a few people called those of us on the VO-BB “clicky”. That really was never true because, almost universally, everyone on the VO-BB always tried to welcome and acknowledge new members when they announced themselves. I think what those few “clicky accusers” were trying to say was that there was a great familiarity among the regulars on the VO-BB, sometimes, inadvertently, posting and “conversing” in a knowing shorthand. We all just followed D.B.’s rules (still do) and play and learn from there. There may be a few folks who don’t realize that without the VO-BB, there might not have ever been a FaffCon. Without that epic voice-over convergence, many hundreds (if not more) voice talents might not have ever enjoyed the immeasurable benefits that this revered event brings to past attendees everyday. 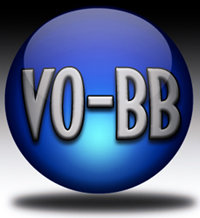 We VO-BB members have done much voice-over work together. Heck, when Erik Sheppard of Voice Talent Productions used to have his holiday party, we’d have pre and post party VO-BB get togethers. There are even more stories beyond these two quick examples, but you get the idea. And friends. So many real-world friends. An abundance of riches for which I am humbled and grateful beyond words. Thank you Deirdre and all my friends on the VO-BB for…everything. 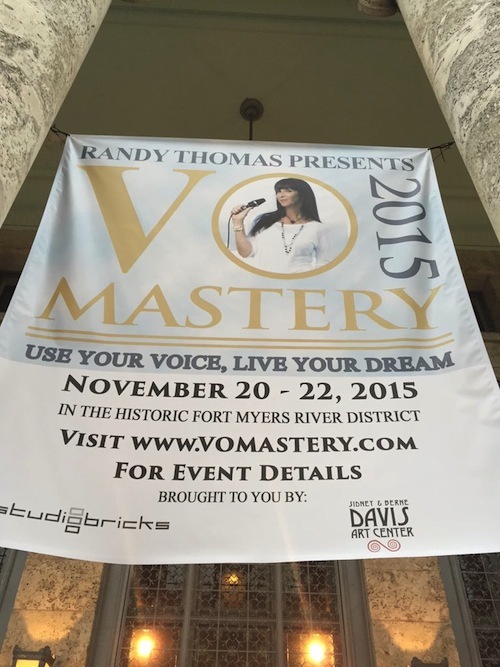 There had never before been a Voice-Over Mastery Event and I’m not sure even its producer and well-respected voice talent Randy Thomas knew how her event would turn out. But I think it was better than even she expected. 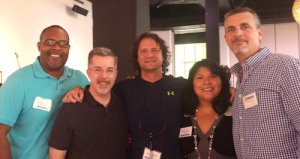 Randy brought together speakers including Joe Cipriano, Melissa Disney, Chris Corley, Anne Ganguzza, David Goldberg & Graeme Spicer among others to have them offer their insights and experience. If I was going to pick my favorite part, it would definitely be the networking with…everybody. I’ll be very interested to see who Randy brings together next year. Thanks Randy.